Chancellor Philip Hammond has dealt a blow to Britain’s millions of self-employed workers by backtracking on promises to scrap Class 2 National Insurance contributions. The tax had been expected to be abolished at the start of the new tax year in April his year, but was delayed. Now plans have been dropped entirely. This is not the first tax u-turn from Hammond. In his first Budget as Chancellor in March 2017, Hammond announced a 2% rise in National Insurance contributions. He was forced to reverse this policy after less than a week after a backlash from his own party and the small business lobby. The 2015 Conservative manifesto promised not to increase income tax, VAT or National Insurance. The planned abolition of Class 2 NICs was announced by the then Chancellor, George Osborne, in his 2015 Budget. In his first Spring Statement in March this year Hammond said that “we are the champions of small businesses and the entrepreneur", but the detractors today say that actions speak louder than words. The Treasury says the tax will be used to fund the NHS, which is under severe financial pressure. The u-tun is expected to save over £300 million, but the Government is looking to find an extra £20 billion for the NHS by 2023. 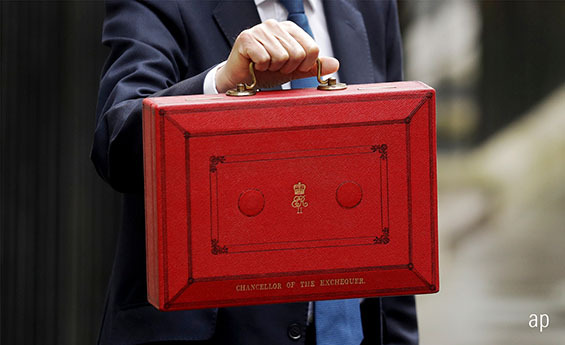 Financial commentators speculate that the Chancellor will look to scrap higher rate pension tax relief for this purpose in the upcoming November Budget. However, changes to higher rate tax relief have been expected at many previous Conservative Budgets and have not materialised. Scrapping higher rate tax relief, which gives higher earners a 40% boost to their pension payments, is expected to save the Government nearly £40 billion a year. Seen as an “easy target” by some in Government, the loss of tax relief would hit traditional Conservative voters hardest. It would also remove a key incentive for higher-rate tax payers to save for retirement via pension schemes. ISAs do not receive the same tax treatment as pensions and can be subject to inheritance tax. The Government’s Lifetime ISA was launched with the intention of encouraging younger people put off by the complexities of the pension system to save for later life. The LISA is rumoured to be facing the axe this year, to be replaced by a “catch-all ISA”. A Care ISA, to cover the steeply rising costs of social care, is also under consideration. Class 2 NICs are payable by those who earn profits of £6,205 or more a year. Class 4 NICs are payed by those profits are £8,424 a year or more so the scrapping of the planned tax cuts will affect the lowest-earning self-employed workers, who will miss out on savings of over £100 a year on average. “Class II NICs is a regressive levy that indiscriminately hits sole traders and makes life even tougher for those who are hard-up. Once you’ve reached a minimal income, there’s no tapering or means testing in place at all.